The double overhand loop knot has been around for a long time. 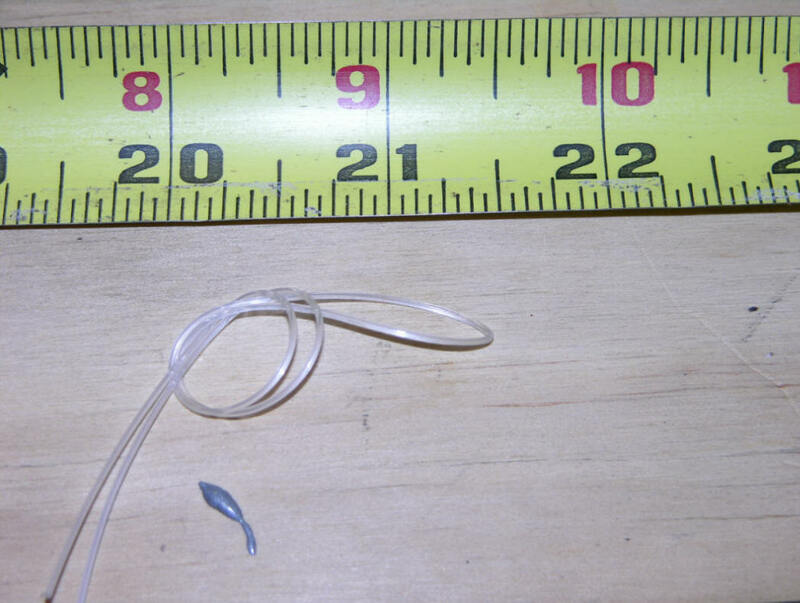 It's main usage is for attaching trolling flies and squids to some form of attractor. 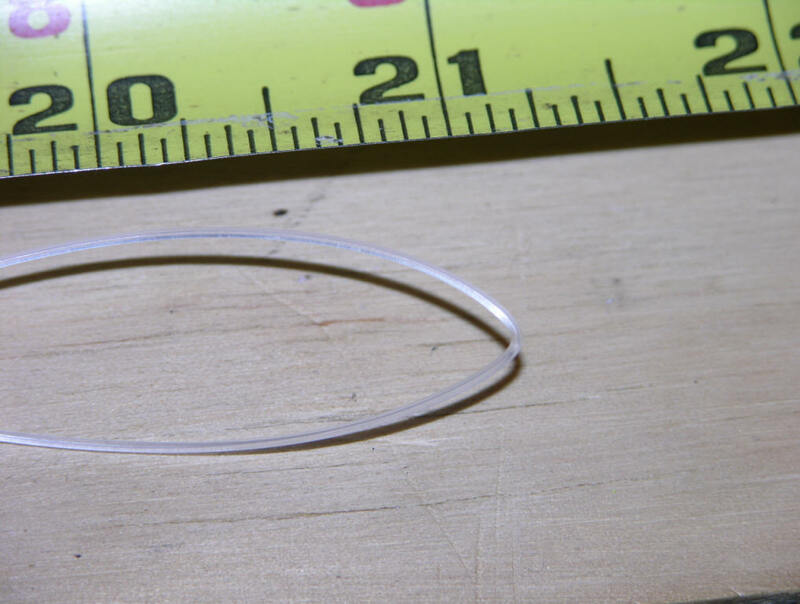 The large loop frees up the action and allows the fly/squid to dart more naturally. Plus, it aids in quick on the water color changes, or leader replacement. 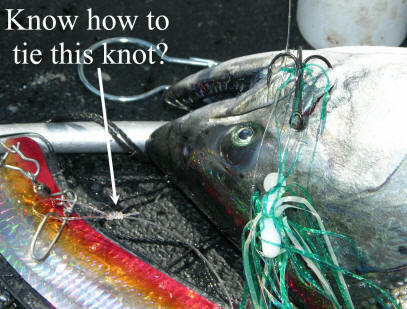 It's very simple to tie even for beginners and will never slip. Please take a minute, or two to enlarge this photo mosaic on how to tie and measure leader distances. Step 1 Measure out desired distance, then double the line and pinch a crease into the line. Leave about 5 inches extra on the loose end after you're creased the line. This ensures your distance will be close to correct. With my 10" BTI flashers 20 to 24 inches has been the norm. My 12" Reel Flashers generally use a longer leader of 36 to 42 inches. Keeping in mind, it pays to experiment and nothing about fishing has ever been written in stone. Step 2 Make a loop, then go back thru. This second step can be called a granny or a square knot. The name is not important, this first loop is. You can work this knot up close to the end of the loop to make it look more pro, but the size of the loop is up to you. Step 3 After making the first loop, go back thru a second time. This second loop is to lock every thing down. Thusly, ensuring the loose end will never pull thru. Moisten the knot at this time to make sure it cinches down better. If you're after a smaller loop? Just feed, or roll the line up towards the end of the loop. Step 4 Pull the loop very tight. A fixed nail in the my work bench is what I use. 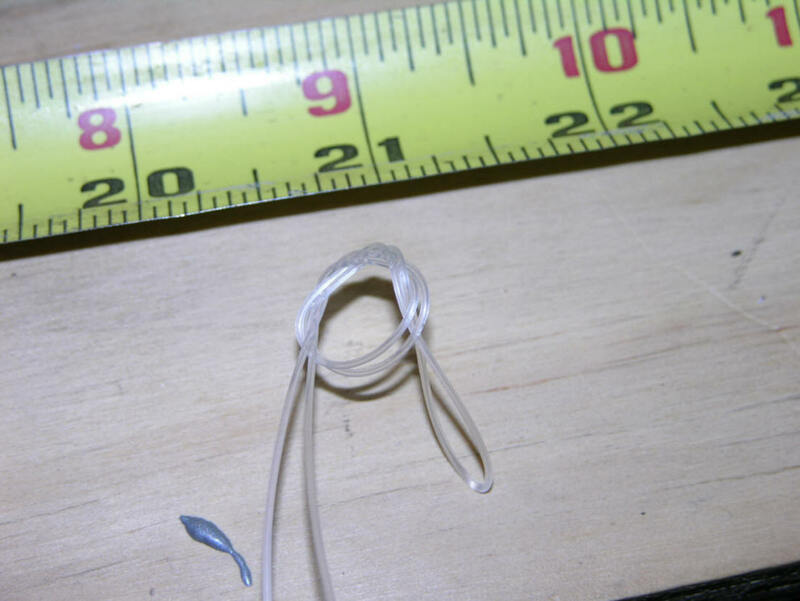 When pulling this knot tight, take care to pull on the loose end with needle nose pliers. Pulling on the loose end at the same time tightens the double overhand loop knot into a work of art waiting to serve you. 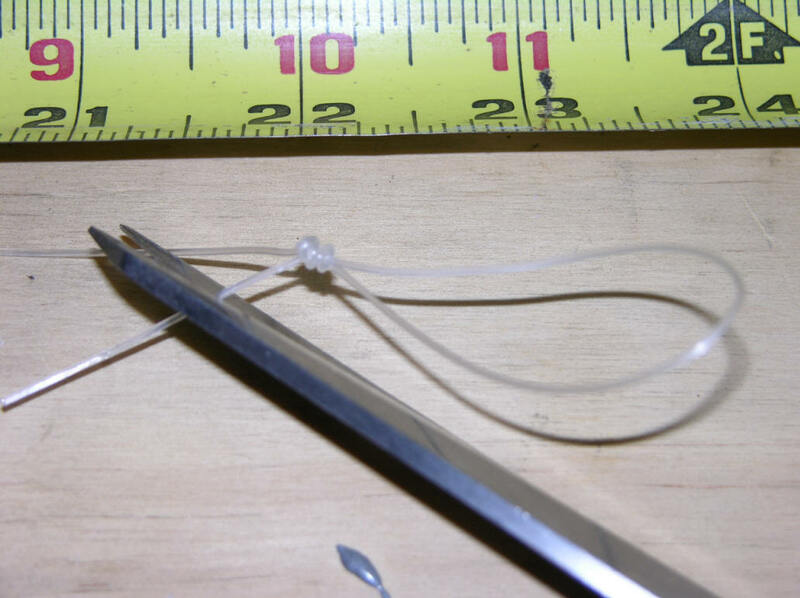 Trim off the excess line and leave a 1/4" behind your newly created "Double Loop Knot!"